Classical Conversations’ Parent Practicums come in all shapes and sizes and never more so than this year. Every state had at least one Practicum with the exception of Rhode Island. Classical Conversations held 567 Practicums this year, up slightly over 2017, with a few Practicums still to come in the Southern Hemisphere where the school year doesn’t start until January. CC held a dozen Practicums overseas this year. Total attendance for this year’s Practicums reached 88,264. That number includes 41,001parents, up 22 percent, and 47,263 youth campers, up 28 percent, over 2016. 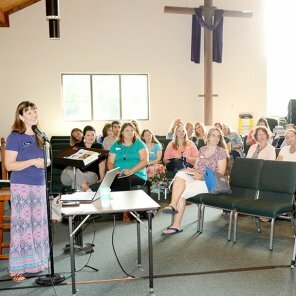 The largest Practicum was held June 13-15 in Cary, North Carolina, where they had 185 adult participants and 125 campers. The smallest Practicum was held in Naples, Italy, where they had 10 adults and 25 children on Aug. 15-17. The largest Practicum Camp had 163 campers in Troy, Michigan, on June 18-20. The smallest Practicum Camp was held June 6-8, in Kona, Hawaii, with 18 campers. Practicum Sponsorship revenues increased 31 percent over 2017, with two-thirds of the money going to directly support local Practicums. Classical Conversations now has 124,000 students enrolled in its tutoring programs, which are provided by 2,500 CC communities in all 50 states and 22 foreign countries. Classical Conversations empowers homeschooling parents and establishes classical, Christian communities that equip children with a biblical worldview and the classical tools of learning in order to impact the world for God’s glory.